Welcome to the Resiliency Leadership Ohio Youth Page. Cope Care Deal: A mental health site for teens. This site shares Web materials for adolescents on mental health. The site gives girls reliable, useful information on the health issues they will face as they become young women, and tips on handling relationships with family and friends, at school and at home. Their tagline is "Be Happy. Be Healthy. Be You. Beautiful." It focuses on the idea that being yourself—finding what makes you smile and how to live well—is what makes you "you." And that is beautiful! mindyourmind.ca is an award winning site for youth by youth. This is a place where you can get info, resources and the tools to help you manage stress, crisis and mental health problems. The mission of the National Runaway Switchboard (NRS) is to help keep America’s runaway and at-risk youth safe and off the streets. 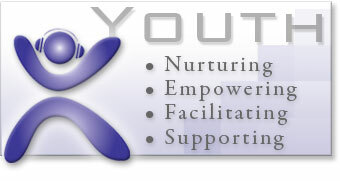 The organization serves as the federally designated national communication system for runaway and homeless youth. Its more than just a phase that young people go through. Whether it leads to pink hair or body piercing, peer pressure is a powerful reality and many adults do not realize its effects. It can be a negative force in the lives of children and adolescents. Yoo Magazine is an interactive health magazine out of Canada that focuses on health issues for youth, including mental health and bullying. The main goal of the site is to promote health literacy. The site contains “interactive quizzes, on-line articles, info sheets and breaking news, and recent and archived anonymous Q&As.” This site requires registration. Youth M.O.V.E. National is a youth led national organization devoted to improving services and systems that support positive growth and development by uniting the voices of individuals who have lived experience in various systems including mental health, juvenile justice, education, and child welfare.